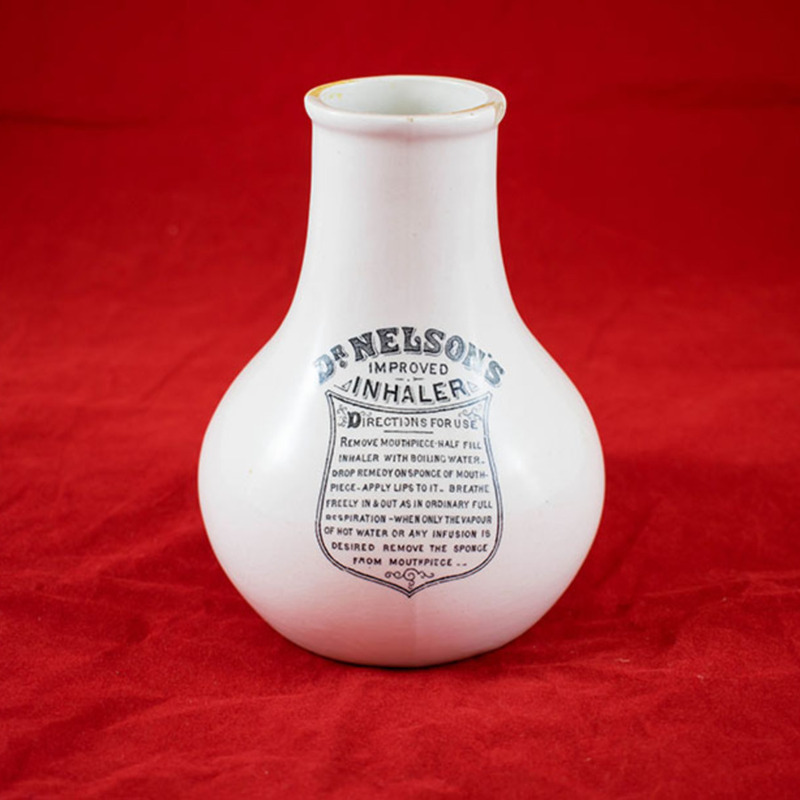 This inhaler was originally invented by Dr. Nelson in the 1860s, however the model pictured here dates from the 1930s. The instrument was used to treat several chest conditions, including influenza and the common cold. 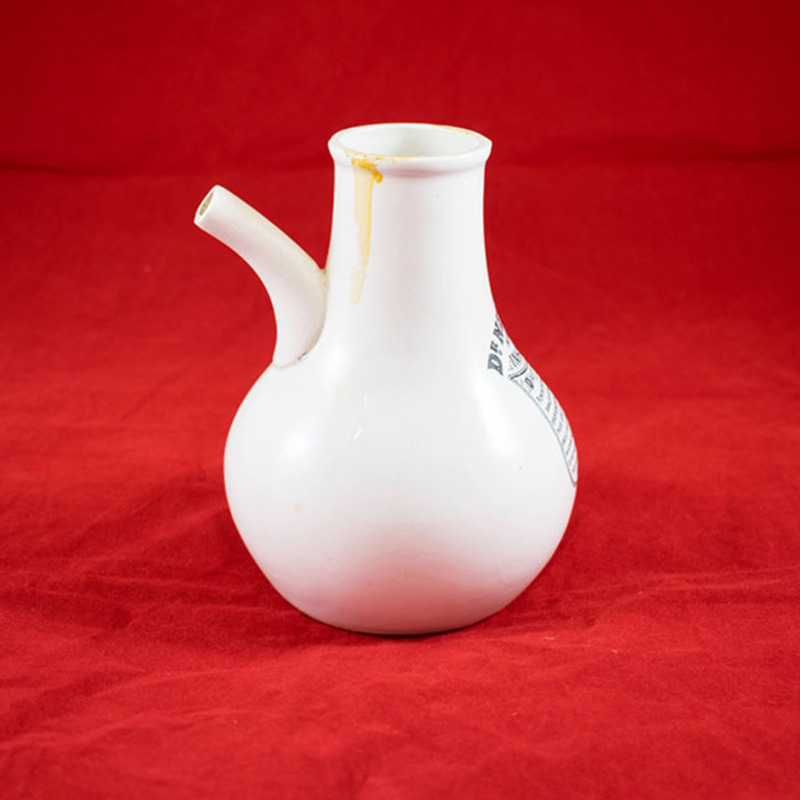 Boiling water would have been placed in the vessel and the patient would inhale the steam through a mouthpiece to relieve symptoms. 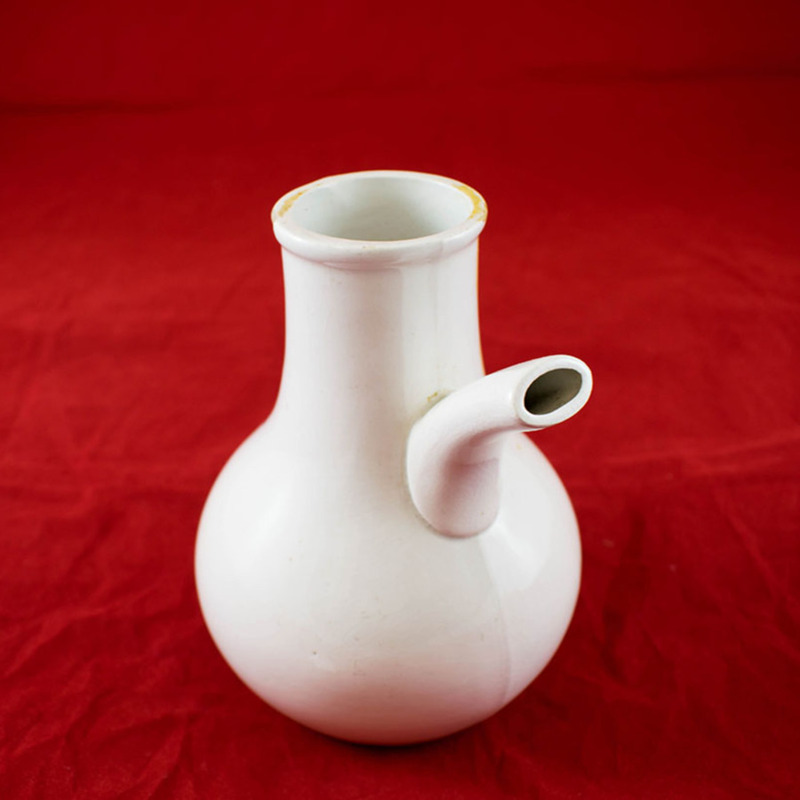 This inhaler is still in use today. 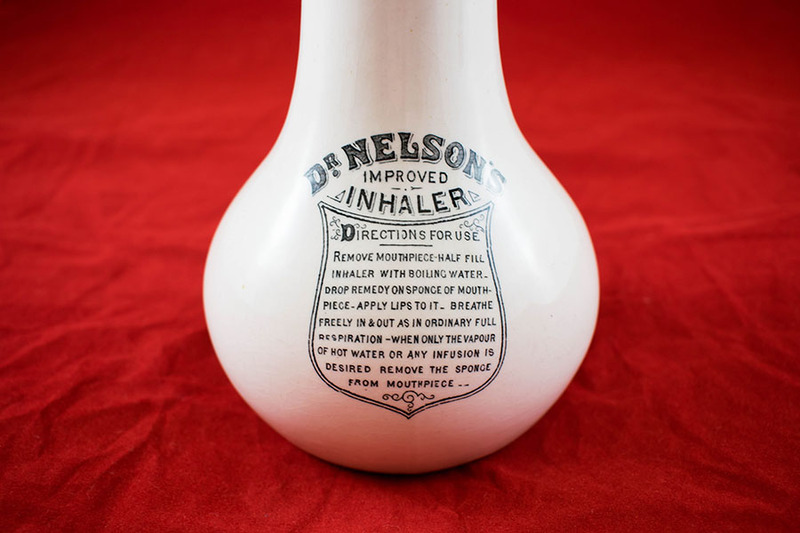 Dr Nelson's Improved Inhaler; 1861-; Inhaler manufacturer, “Dr. 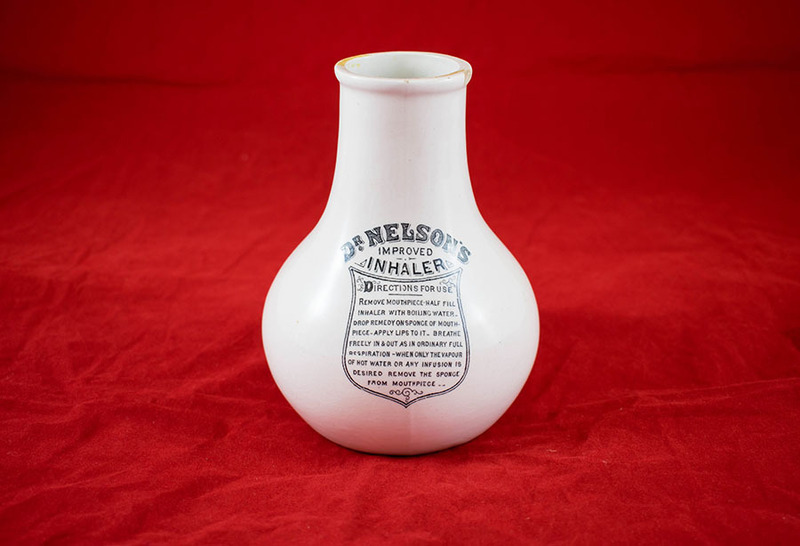 Nelson's Improved Inhaler,” Heritage, accessed April 23, 2019, https://heritage.rcpsg.ac.uk/items/show/46. 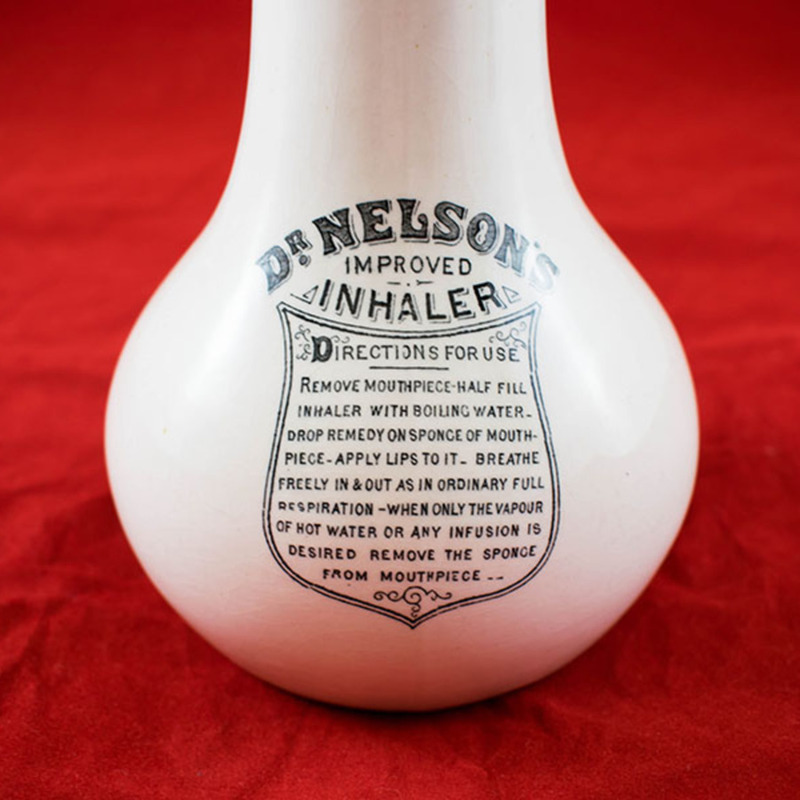 Description: This inhaler was originally invented by Dr. Nelson in the 1860s, however the model pictured here dates from the 1930s. The instrument was used to treat several chest conditions, including influenza and the common cold. 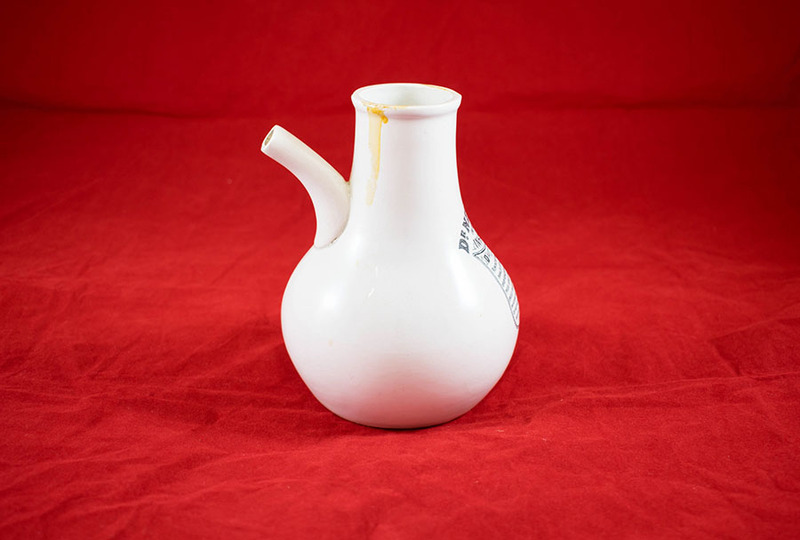 Boiling water would have been placed in the vessel and the patient would inhale the steam through a mouthpiece to relieve symptoms. 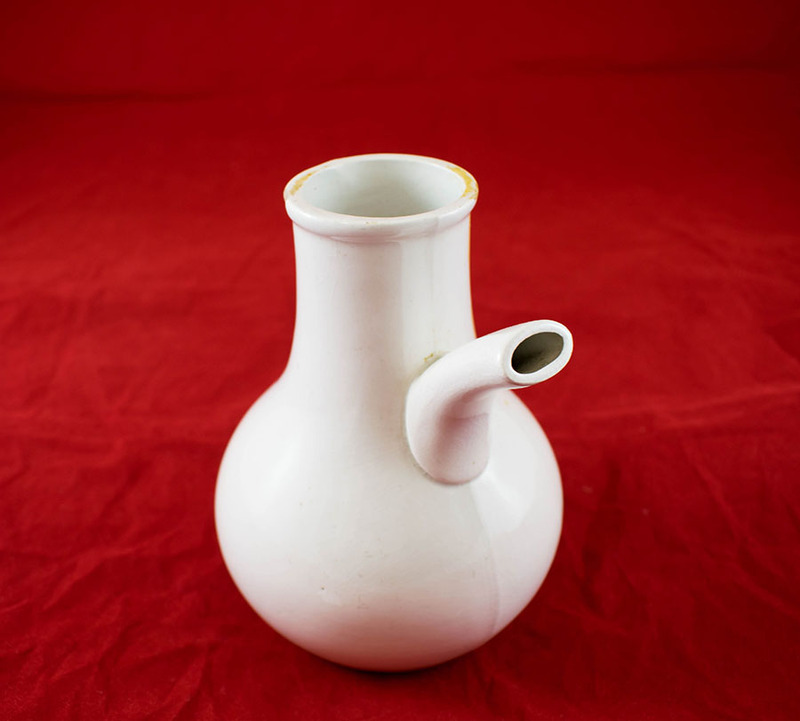 This inhaler is still in use today.